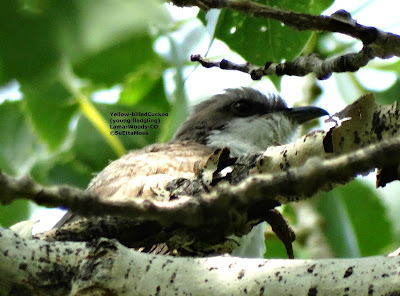 This morning as I birded in Lamar Woods, a riparian woods located behind the Lamar Community College that is awfully degraded, I spotted an adult Yellow-billed Cuckoo and saw it feed an apparent fledgling cuckoo. I wasn't able to get any photos of the adult though I saw it several times. 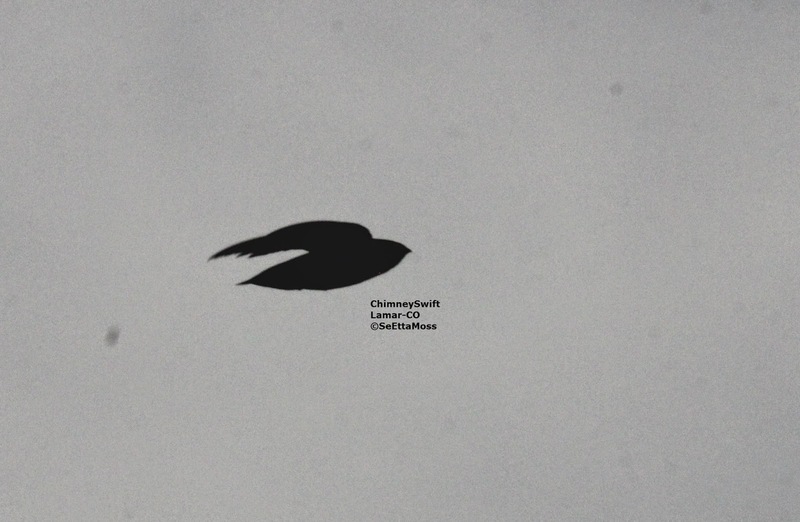 I spent some time tonight watching Chimney Swifts in Lamar, CO where I observed at least 8 birds as they foraged. It is clear from the top pic why these are called 'flying cigars' of a cigar with wings.